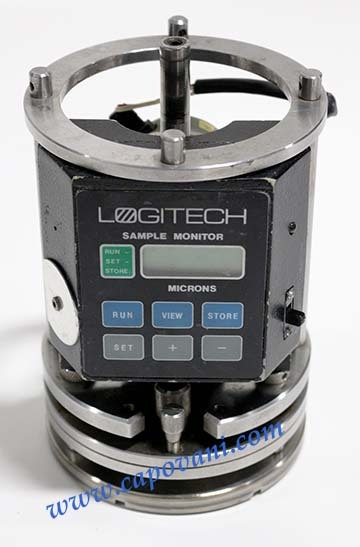 Digital gauge allows unattended lapping of samples to a predetermined thickness. Digital display provides 1um resolution and audible alarm prior to completion of sample processing. Will process wafers up to 3"